This is such a fun, kid-friendly recipe. What's great about a recipe like this one is that you can adapt it to your family's liking. You're free to use whatever taco-style toppings you prefer. Prepare taco meat according to package directions. Set aside. Preheat oven to 375 degrees. Press pizza dough out onto an ungreased 10 x 15 inch cookie sheet. Bake for about 8 minutes or until dough becomes slightly golden. Meanwhile, heat refried beans in the microwave in a heat-safe bowl or in a small saucepan until warmed and loose enough to stir easily. Remove dough from oven and spread beans in an even layer across pizza dough almost to the edges. 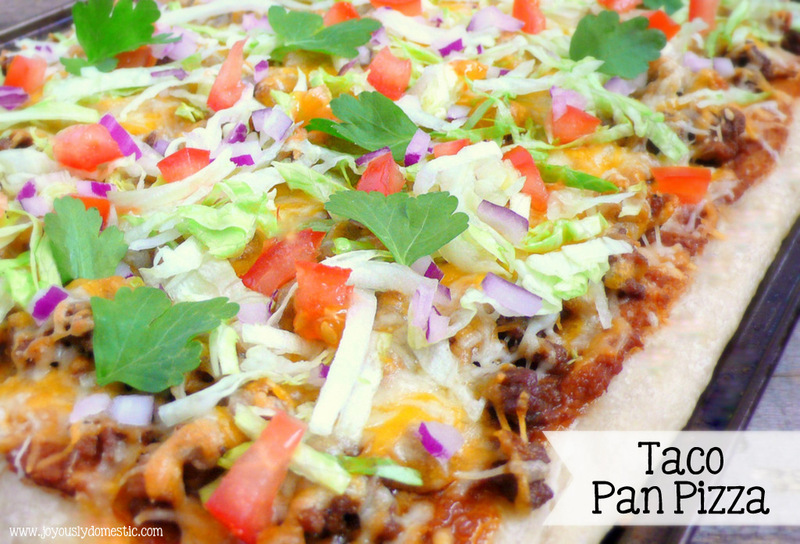 Top with taco meat and cheese. Return pizza to oven and bake until cheese melts - about 5 minutes. Remove from oven and top with toppings of your choice.